4k00:22PARIS, FRANCE - circa JUN, 2017: Visitors take photo of Leonardo DaVinci's "Mona Lisa" at the Louvre Museum. The painting is one of the world's most famous. 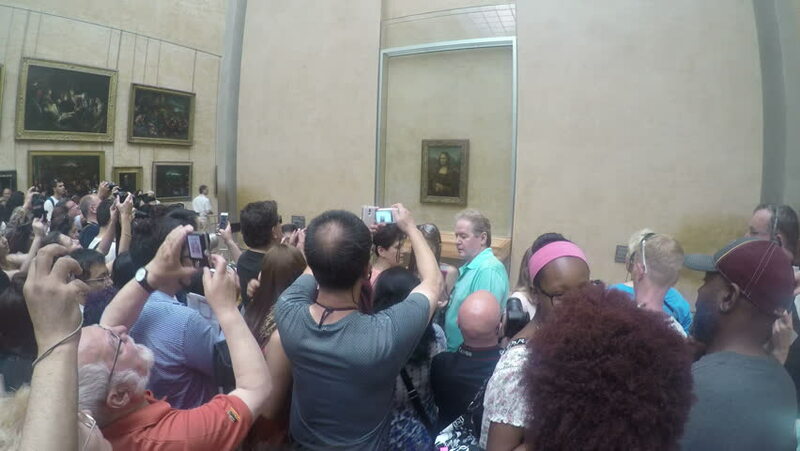 hd00:14PARIS - JUNE 1: Visitors take photo of Leonardo DaVinci's "Mona Lisa" at the Louvre Museum, June 1, 2015 in Paris, France. The painting is one of the world's most famous. hd00:48SALAVAT, RUSSIA - Jul 17, 2015: The faithful Muslims in a mosque. The holiday of Eid al - Fitr in Salavat, Bashkortostan, Russia. hd00:17BELGRADE - AUGUST 25: Stranded Refugees queue in a help center in the city center for food on August 25, 2016 in Belgrade, Serbia. hd00:19CHIANG RAI, THAILAND - FEBRUARY 14: unidentified Christian people attend mass in thai protestant church on February 14, 2015 in Chiang rai, Thailand.